Hello friends, family, and fellow difference makers! My name is Nicole Ver Kuilen. I’m 25 years old and I love being active. I swim, bike, run, ski, hike, play softball, tennis, hopscotch…you name it! What you might not suspect? I wear a prosthesis on my left leg below the knee. When I was 10 years old, my doctors discovered that I had an egg-sized tumor in my left tibia bone. After numerous chemotherapy treatments at the Mayo Clinic, the life-saving decision was made to have my leg amputated. But clearly, this hasn’t stopped me from getting out there and doing what I love. I’ve competed in numerous triathlons, half marathons, and bike races across the U.S., empowering myself and others to redefine disability. I’ve also used my voice to raise awareness for the needs of the amputee population. What you might not know? Amputees are only provided one prosthesis by insurance, and the cost is often not fully covered. This prosthesis is expected to last for several years and ongoing adjustments (with additional expenses) are needed. Prosthetic devices - even for basic functionality - are very expensive ranging from $5,000-$50,000. We’ve all seen images of the slick running blades on Olympians – but how many people realize that those are inaccessible for most amputees? I’ve assembled a group of people that want to start a movement to make our voice be heard. 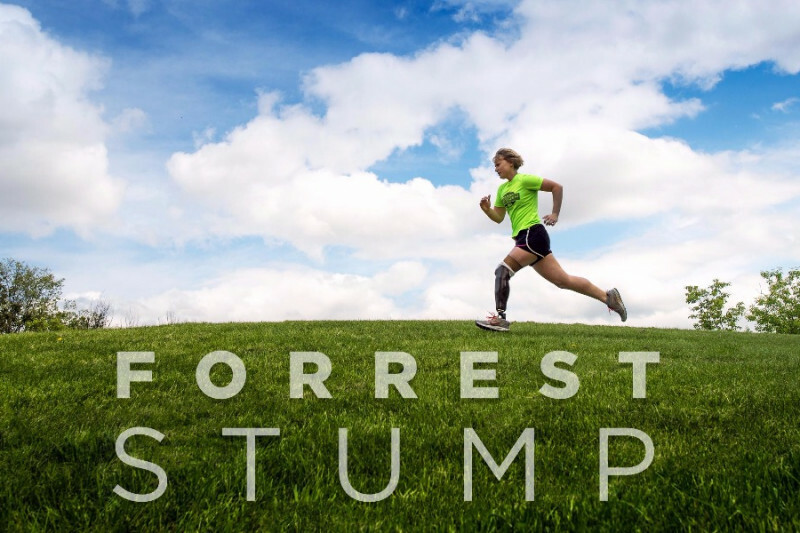 We are calling ourselves Forrest Stump and we will be swimming, biking, and running 1,500 miles down the west coast to raise awareness on the unmet needs of amputees. We need your support to make this movement possible! What are we fundraising for? Great question! Below, I’ve broken down our levels of funding. You can think of it as Maslow’s Hierarchy of Needs. We must meet the first level of funding in order to move on to the second, and third, and so forth. I hope you’ll help us reach our goal of $21,000 to make Forrest Stump possible! I’m fortunate to have the most amazing parents who went out and bought a camper the day after we decided to make Forrest Stump a reality. They also agreed to let us use their truck to pull it…and my mom has agreed to drive it! Having this on the journey will help us significantly reduce the costs of our travel down the coast. But, we still have basic expenses to make this trip happen and that includes food, gas, and campsites. Will you help us reach our first level of funding? 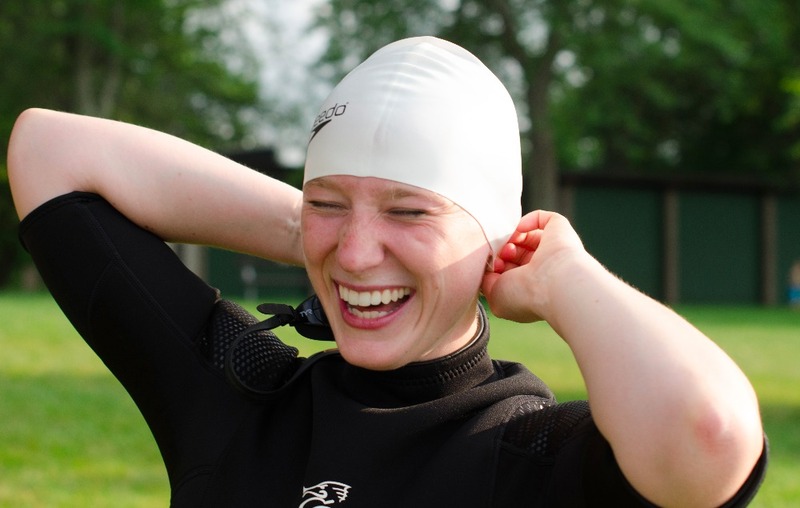 In total, we are going to be swimming, biking, and running over 1,500 miles (and driving that distance too). There is bound to be something that happens that is going to require some emergency repairs. For example, blown tires, tubes, bike repair, car issues, scrapes, bruises, etc. We want to make sure we can focus on telling our story and finishing our journey, so we need to be prepared for the unexpected. Help us ensure we make it down the coast by reaching Level 2, our Emergency Kit. We will be telling our story throughout the journey with photos and stories on our blog and posts to social media. But there is a way we can take our story to the next level, and we need your help to make that happen. We are currently in conversation with a professional photographer and a documentary crew to help tell our story. Do you want to see the results of this? Help us make Level 3 happen by hiring some professional storytellers to join us down the coast! Level 4: Taking Forrest Stump to Washington, D.C.! After our journey down the coast, we want to continue working on Forrest Stump to bring our story to policymakers in Washington, D.C. and make an impact on the system. This isn’t going to be easy, but we have the brains (and brawn!) to make it happen. Help us seed Forrest Stump “Part 2” by funding Level 4. NOTE: What's not included in our fundraising goals? What other expenses do you have? Another great question! So, $21,000 will cover the majority of our efforts to do this, but it won't cover all of it. If you know of people that want to sponsor us in any of these capacities, we would greatly appreciate it! Thank you for all of your support!